Just past Route 20 is Cinnabar Island, the location of the next Pokemon Gym. 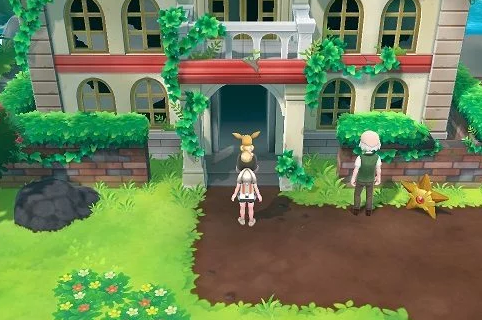 However, after arriving, you will quickly find that the Gym is locked and you must find the key to it in the Pokemon Mansion (also found on Cinnabar Island). Furthermore, there is another Research Lab found on this island, one that will revive any fossil you have into the Pokemon they once were. After defeating the Elite Four and starting the Master Trainers Challenge, you will find a couple of Master Trainers on Cinnabar. In total, there will be two Master Trainers to defeat.